A1 Transmission Service of Brentwood are Transmission Specialists with ASE Certified Technicians. 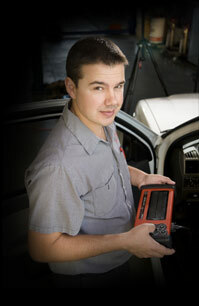 We are seasoned professionals in all aspects of transmission service and repair. We fix all makes and models, foreign and domestic inclduding BMW and Mercedes. Our experience, knowledge and diagnostic tools exceed that of a general repair shop. We can more accurately diagnose and resolve transmission problems, often saving our customers from unnecessary labor, parts, or transmission replacements. A1 Transmission Service performs diagnostics with latest digital equipment, but technology can only provide a general idea of where a problem may exist. This is where experience becomes crucial to resolve transmission problems. What separates A1 Transmission from the field is our ability to pinpoint problems down to a small failing transmission part, thereby avoiding unnecessary costly repairs. * With major repairs. Please call us at 516-7216 for details. We work hard and efficiently to get your vehicle back on the road as soon as possible. We service all makes and models foreign and domestic, cars, trucks, SUVs, RVs, and medium duty trucks, including BMW and Mercedes.